Is it possible for you to give links to a few of your artists who are using PayPal buttons on their websites? I am curious how they are using them. I thought that some of you might find my answer and examples helpful. So, today, I'm going to talk a little bit about PayPal buttons and how some artists are using them. So, today, I'm going to highlight a few artists that I think are doing nice jobs! 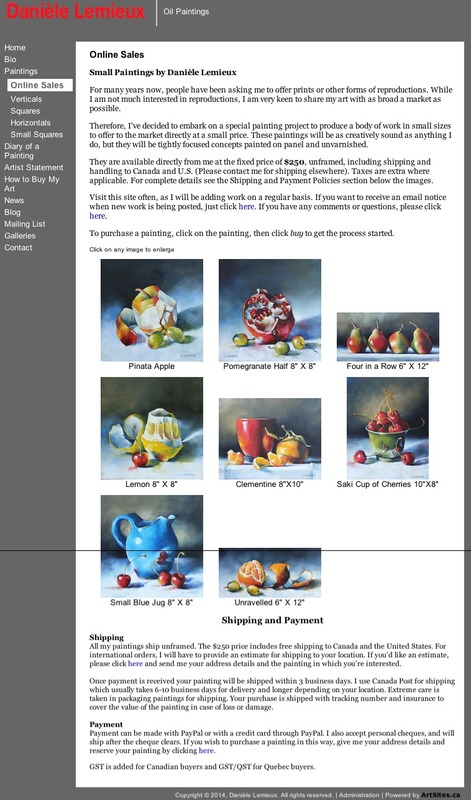 Danièle has created an "Online Sales" page (see below) where she posts smaller, original and fixed priced ($250) paintings for visitors to buy. 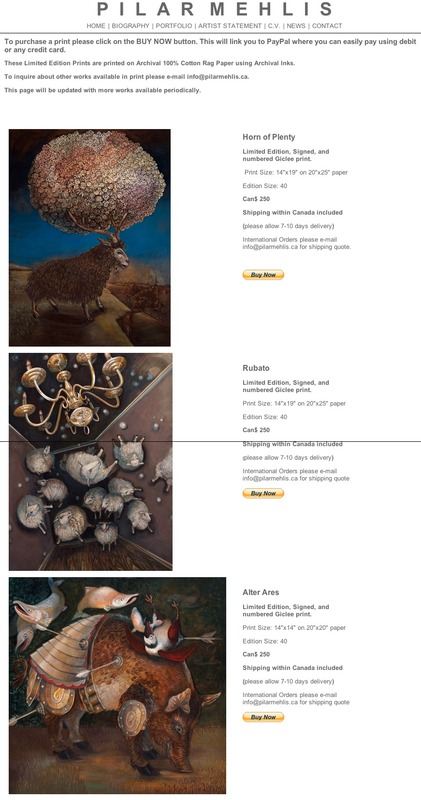 This is a great use of the PayPal button because Danièle only has to put PayPal buttons on a limited number of paintings and the price is fixed for all of them, i.e. $250. 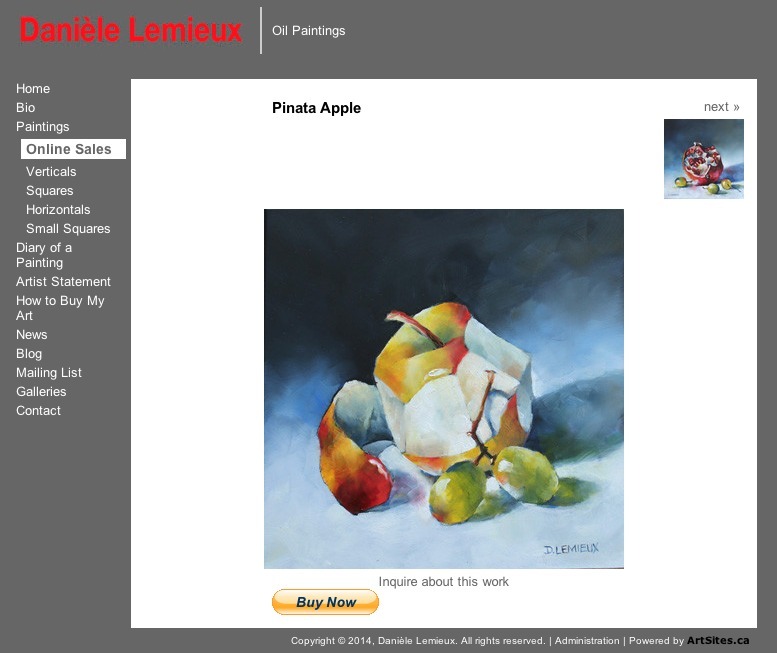 In addition to her webpage, Danièle ALSO sends out a "Newsletter", every time she adds a few new paintings to her Online Sales page! Danièle also has a How to Buy My Art page that explains what her pricing is and how to view and/or buy her artwork through galleries. Similar to Danièle, Pilar Mehlis has also created a "Limited Edition Prints" page. Once again, there are only a few PayPal buttons Pilar has to manage and it provides a convenient way for anyone who wants to buy a "Limited Edition Print". Abdul has included PayPal buttons in most of his image descriptions (see below). This is obviously the MOST convenient solution for your online visitors! However, depending on the number of images you have, this can be quite tedious, i.e. 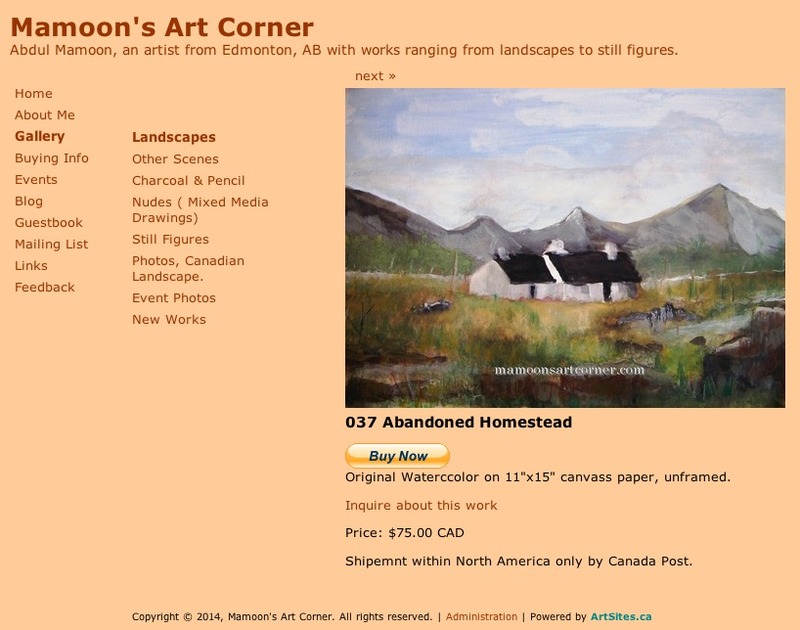 entering different prices for each piece of art. That said, if you have lots of artwork and/or lots of variation in your prices, you may want to talk about your pricing policies and payment options in general terms. As always, if you have any more questions, please just let us know! And, don't forget to check out our post below on How to Talk About Prices Generally and What Pricing Information You Should Put on Your Website!